God is the prime executor of justice on earth (Jeremiah 9:24). In God’s justice, the worst crime done ignorantly, especially of unbelievers, is pardonable (1 Tim 1:13). Genuine repentance is the only thing needed for absolution (Prov28:13). Confession must be done, firstly, to God, then to the offended party (Psalms 32:5; James 5:16). To merit God’s pardon, we have to learn how to forgive our offenders (Matthew 6:14-15). The primary logical question is: How can you comply with a law you do not know? Is it justice being served if somebody is being prosecuted for an offense based on a law not known to him? There is a provision in the fiber of the Philippine jurisprudence, and in most civilized countries of the world, known as the “Blackstone’s formulation”. If, because of an innocent person, it is better to set free ten criminals, will it be prudent and just to prosecute a real innocent person because of his non-compliance with a law he is ignorant of? In my opinion, it sounds stupid! 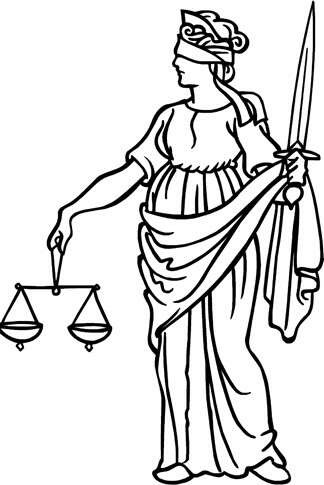 It is noticeably ridiculous that the symbol of justice in almost all courts or law is a blindfolded woman with a balance on her hand. In the Holy Book, it is influence and money that covers the eyes of an unjust judge (Exodus 23:8). I hope all judges will be just. Pardon my ignorance of your laws!